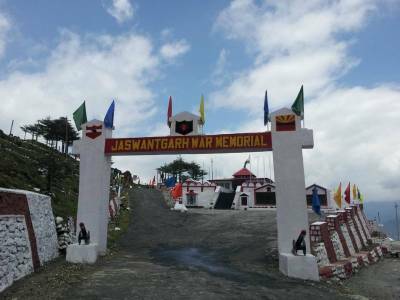 Jaswant Garh memorial which is a temple for the army is built in memory of Rifleman Jaswant Singh Rawat designated Maha Vir Chakra of 4 Garhwal Rifle, who laid down his life resisting the Chinese Army's march along with Trilok Singh Negi and Gopal Singh Gosain during the 1962 War. The 1962 Indo-China war was totally one sided and India was at the receiving end of it. This place shows that had Indian army matched resources for resources, the course of Indian history would have been different. After capture of Tawang and Chinese juggernaut marching on, they were tested for the first time here. A bunch of Indian soldiers repulsed massive onslaughts one after another and when confronted with a MMG with a sten gun these brave soldiers, Jaswant Singh Rawat, Trilok Singh Negi and Gopal Singh Gosain showed what bravery is. Almost empty handed they could neutralize the MMG and bring it over to Indian side and in the process taught Chinese a lesson for their lives. There are many legends which have come up over a period of time, including Jaswant's hanging, his head being taken away and brought back, his spirit camping at the place and what not, what is important is this was a place where bravery of the highest order was displayed, prompting people and army personnel to deify Jaswant Singh. Definitely feelings of people are understandable. 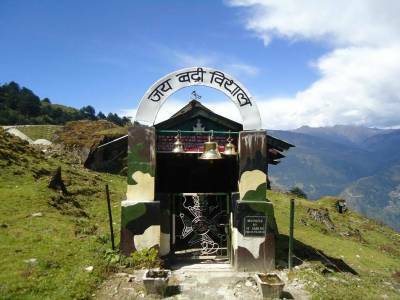 Armed forces are making an effort to project this place as an example of bravery and discouraging the tradition of worship and religious overtones and this is very well appreciated. For armed forces bravery is what it is known for. After the war, while RFN Jaswant Singh was conferred Mahavir Chakra, Negi and Gosain were honoured with Vir Chakras and the Battalion was conferred the only battle honour of 1962 war "Nuranang". One wishes that bravery could have justified bigger honour as well. 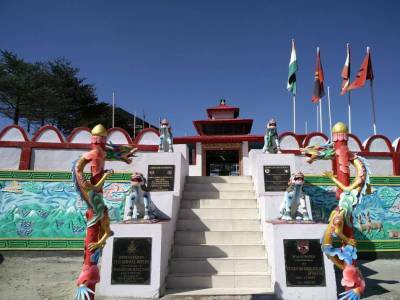 Presently the attraction has a display of statue of Jaswant Singh, a memorial which displays personal artifacts including his clothing, gun, bunkers of that time, kitchen, mess, this history of the battle, even Chinese grave site as they lost about 300 people here and a temple which has a tree of that time as well. 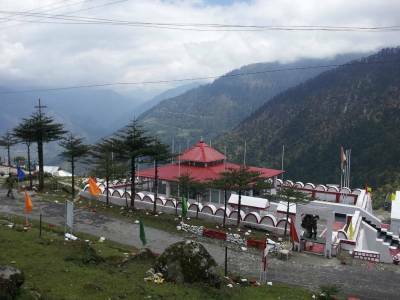 Overall an excellent place and everybody who visit Tawang must halt at this place which is about 20 kilometers from Sela and 60 kilometers short of Tawang. From this place, one can see wonderful hills and mountains and the place has observation center from where important battle features can be seen. For refreshment, free tea is served by army and people can buy snacks at a very reasonable price. 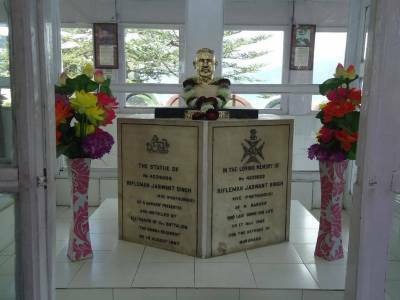 A unit canteen of army sells things which will make you remember the place for a long time. Get quick answers from travelers who visit to Jaswant Garh Memorial.